Margaret Mead: "Never doubt that a small group of thoughtful committed citizens can change the world. Indeed, it is the only thing that ever has." Helen Keller: "Many persons have a wrong idea of what constitutes true happiness. It is not attained through self-gratification but through fidelity to a worthy purpose." Janis Joplin: "Don't compromise yourself. You are all you've got." Mother Jones: "My address is like my shoes. It travels with me. I abide where there is a fight against wrong." Sappho: "Although they are only breath, words which I command are immortal." Jane Austen: "History...tells me nothing that does not either vex or weary me. The quarrels of popes and kings, with wars and pestilences in every page; the men all so good for nothing, and hardly any women at all - it is very tiresome." Barbra Streisand: "I am also very proud to be a liberal. Why is that so terrible these days? The liberals were liberators—they fought slavery, fought for women to have the right to vote, fought against Hitler, Stalin, fought to end segregation, fought to end apartheid. Liberals put an end to child labor and they gave us the five day work week! What's to be ashamed of?" Margaret Thatcher: "If you want anything said, ask a man. If you want anything done, ask a woman." Estée Lauder: "Telephone, Telegraph, Tell-A-Woman." Stella Roberts: "Grandad's got no hair." On 27 April global ticket sales began for one of the two greatest team sports tournaments on earth - 90,000 match tickets snapped up in the first six hours of sale. The 2011 Rugby World Cup will take the game down under to the home of the most passionate rugby fans in the world – New Zealand. I can’t wait to get that World Cup winning feeling back – but I know passionate rugby fans the world over will be feeling the same way about their own teams. What could be better than winning a world cup in New Zealand, home of the mystical men in black? Stephen Jones would have a field day. The cup will be a festival event, combining passionate team loyalty with a competitive camaraderie among opposing fans that you won’t find in any other sporting code. Can’t wait. 498 sleeps to go. Back in the 60s Charles Revson and Revlon came up with Fire & Ice. It was a great shade of lipstick and the title of his biography. And last week I was reminded of it as I was grounded in New York by Iceland's very own version. That huge mass of ice, lava, steam and ash has blown Europe a kiss it’ll never forget. Thousands were stranded by the recent eruption as air travel ground to a halt. The airlines lost hundreds of millions. But man alive, what a show! If you watched any of the best TV footage you’ll have seen the incredible plumes of ash rising from the summit of the unpronounceable Eyjafjallajokull, forked lightning wiring its way across the clouds while chunks of molten rock fly off the sides hotter than a Sosa drive, creating deep pock-marks in the ice. If there’s any upside to all of this (apart from a hopefully benign fertilizing of every garden in the British Isles), it has to be a branding opportunity for Iceland. While everyone else is making contingency plans for the inevitable sequel from sister-volcano Katla (10 times bigger! ), Iceland should be making plans to capitalize on the images that circled the globe with the ash. Once the smoke finally clears the boost to local tourism could be tremendous. A new name might be the place to start. Fire and Iceland? University of California San Diego’s James Fowler and Harvard’s Nicholas Christakis, introduced the notion that obesity is ‘socially contagious’ in 2007 and their recent book Connected: The Surprising Power of Our Social Networks and How They Shape Our Lives, continues this line of research. They describe society as a human superorganism and that what we feel, think, do or say, can spread to others, including those we don’t know. The implications for brands are startling given the old adage that word of mouth is the best form of advertising. It’s commonly believed that word of mouth relies on trust of the source – but could it be their thoughts and behaviors are contagious as well? The researchers say that while it’s not clear how contagions spread they think some may be passed on subconsciously and a range of human ailments can be caught this way including acne, smoking and headaches, according to Fowler and Christakis. When we see a fat person, they say, it resets our perception of what a normal person should look like and as a result allows us to become fat, and this can radiate to three degrees of separation. Other scientists however are not convinced. Russell Lyons, a mathematician at Indiana University, says there’s no proof obesity can be contracted at distance; the proximity of a fastfood outlet is more likely to be a factor. While the jury is out, the success of Connected, which has landed a spot on Oprah’s must read list, is evidence that something is contagious, probably word of mouth! Two big stories in the brave new world of consumer-powered retail in recent days, and both help us understand how it is taking shape. First, there's Yelp, the smash-hit consumer review website that faces legal action that goes to the heart of the site's integrity. The lawsuit filed against Yelp by ten US businesses claims that the site removes and relegates negative reviews in return for advertising. The implied threat is that your business will get stuck with negative reviews if you don't pay – and this matters when the site gets 30 million visitors each month. Two insights have made Yelp a great pioneer of the Consumer Revolution: first, they understood the power of the Internet to amplify 'word-of-mouth' (they carry 10 million reviews); second, they grasped the largely untapped potential of linking content to location via GPS. While they are not alone in either respect – think Amazon or Google Maps – few businesses have woven these features into their business model as successfully as Yelp. That is why, perhaps, the company rejected the recent $550 million courtship of Google! But, like any business, Yelp is ultimately hostage to its reputation. That's why they have responded to the latest allegations by announcing high profile changes to reinforce the integrity of their processes. The CEO has rightly pointed out that "user trust is the foundation on which Yelp is built". He went on to announce that they would eliminate the favorite review feature and make the filtering process transparent. Yelp is right to act decisively. In the Participation Economy, authenticity and trust are linchpins and half measures won't do. Groupon is another consumer-powered super-site that is worth watching. Starting just eighteen months ago, Groupon is a social buying site that offers members daily coupons for a seemingly limitless range of goods and services, from baked good to teeth whitening, from house-cleaning to NASCAR speedway driving lessons. Groupon has just been valued at a staggering $1.4 billion and last week managed to attract over $100 million in new capital. It now offers discount deals in more than forty US cities. Next stop, who knows? Groupon succeeds from the most old-fashioned premise. It drives consumers to products and services and takes a small fee in return – a classic win-win-win. But it does something else: the daily Groupon has become a talking point, something worthy of anticipation. It is irresistible and enticing – and intuitively viral. Who wouldn't want to pass on to their friends the latest deals for a half-price massage or a $3 sushi lunch? Groupon and Yelp are the vanguard of the Participation Economy, harnessing consumer power in new and innovative ways. Recent events are timely reminders that some things – the importance of trust and authenticity, the power of mystery – never go out of style. Creativity is a precious resource, and as is the way with the human race, when we go to the well and always expect to come back with water. The muse, the creative spirit is essential in my business, but the real celebration is the way that creative thinking infuses every manifestation of our existence. There’s always another way to do something, another way to look at the world, something that never occurred to you. It’s in everything – architecture, advertising, city planning, candle making, education, and of course music. Creativity thrives in positive environments, with warmth, support and appreciation. At Saatchi & Saatchi we build our creative people an elastic-sided sandbox, pose them a simple killer problem, give them zero time to solve it, and get the hell out of their way! When they’ve done something amazing, we let them know. Firstly what’s important is that we do give them the sandbox. Spotify, the music streaming service that has been such a hit in its free and increasingly in its paid for and mobile models, has done a great job from inception to massive popularity. Recent news suggests that has been achieved without the resource that allows songwriters their daily bread – royalties – trickling back to the writers. One report says that Lady Gaga’s huge hit Poker Face, played 1 million times on the site over 5 months, translated into a payment of $167. Songwriters should be in love with Spotify, a quality platform for their music, older songwriters find their songs are available again, and the world has a great music resource. Spotify need to make a new sandbox – and fill it up with songwriter’s love, the same love its listeners share for the service. Spotify understand creativity, I’m backing them to find a way. 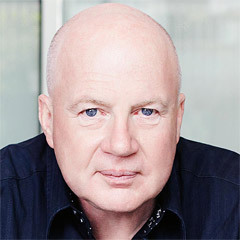 Anyone with an interest in inspirational leadership should check out Saatchi & Saatchi Chairman Bob Seelert’s latest video interview with Meettheboss.tv. 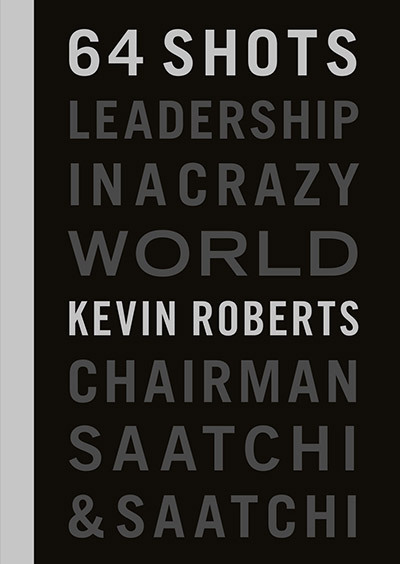 Bob is valued for his personal brand of “advice, counsel and perspective” from his 15 year tenure at Saatchi & Saatchi. About a year ago John Wiley published Bob’s book Start with the Answer and it’s taken him across the USA, to the UK, China, Japan, Singapore and Australia. In this 18 minute interview Bob fronts up on company turnarounds, left-brained management of right-brained people, having a personal credo, and purpose-inspired leadership. On the pragmatic side he gives up the good stuff on 100 day plans and managing your time. (Signing up to the site is free and fast, and gives you access to the full 18 minute interview. Non-registered users get the one minute teaser). “Well, I love to drink coffee. In Indonesia, Starbucks' price is quite expensive than others but the atmosphere makes you want to come over and over again. Let's say we purchase the atmosphere, not just the coffee. Besides, the coffee tastes good. Starbucks is the perfect place to hang out with friends, get a latte and do nothing, kill time or de-stress from a deadline. And it's not hard to find Starbucks. I love it. So where do I get a latte? Starbucks!” Audrey. It's wonderful to unexpectedly stumble upon a kindred spirit – or at least a person who holds a worldview eerily similar to your own. It can happen as easily at a barbecue as a board meeting – or in a book – when a person expresses an opinion or articulates a perspective that sounds like it was cut and pasted from your own thoughts. This happened recently when I came across the work and writings of Gunter Pauli, who is about to release the English language version of his book, The Blue Economy. "The Green Economy proposes investors to accept a lower ROI and asks consumers to pay more. While this may work when economy is booming, this does not work at a time of crisis. The Blue Economy proposes to inspire entrepreneurs with hundreds of innovations in all sectors of the economy that will change the rules of the game of the market, cascading nutrients and energy, eliminating blatantly unsustainable product and process designs." Pauli is overseeing numerous fascinating projects across several continents, involving self-sustaining new industries in developing countries, delivering an economic future without the ecological damage that usually comes along with it. He is doing it on a large scale - and with strong government backing – in Bhutan, helping the small nation build industries that draw on its cultural and economic assets while preserving the local ecology. This is a far cry from the burn and pillage approach to developing countries in past decades. I have it on good authority that Pauli, a German professor, has not read anything of Saatchi & Saatchi's True Blue philosophy (he also approves of the term, Green Economy 2.0 but I am not so convinced). However he arrived at the same conclusion through many years of trying to bridge the gap between environmental and economic ambition. In other words, he sees clean technology and alternative energy as fantastic – and largely untouched – profit centers, not as political posturing or charity cases or acts of philanthropy. This is about business and environment, profits and planet. Ultimately, Gunter Paul and I clearly agree – although having not met in person – that this approach is the best bet to protect and prosper. What better reflection than life that looks just like it is supposed to. But 3D isn’t just for fiction any more, it’s spreading around the world, and popping up at football events, and even where there are natural disasters. 3D has had a troubled relationship with the public – we’ve wavered, but it seems like the immediacy of the illusion of 3D (because really, it’s still 2D!) is exciting us again. We want to see the ball whooshing towards us from out of the screen. We want to experience and understand what the words in the newspaper can’t convey – instant emotional reaction with assisted imagination. Recent hits like Avatar and Alice in Wonderland have stretched us further into the realms of our imagination. That these stories carry universal themes and that we enjoy them so much is not only because of the added dimension. It’s because James Cameron and Tim Burton, in their vastly different ways, have taken the best of new technology, and told stories that we want to be a part of. Where there is 3D non-fiction, 3D fiction has to be even more true to our beliefs, our feelings. Next time you slip on the glasses, look for yourself on, or coming out of, the screen. The iPad has hit shelves this month, and looks to be leaving them just as fast. A Steve Jobs’ quote I relate to is “real artists ship”. It goes to the heart of making things happen. We’re seeing some encouraging signs in the global economy, (including bellwethers like Swiss watch sales) but an overall recovery will be slow and bumpy. At Davos in late January, Obama's chief economist, Larry Summers, said: “We are in a statistical recovery but a human recession." The social shock waves caused by downturns roll out devastation. Take downunder – at end of 2009, New Zealand unemployment was the highest in a decade. A major 2009 spike in violent crime was fueled by family violence, up 18.6%. Unreasonable people have a fantastic record of innovating and cooperating to help get the world out of seemingly intractable places. We have faced huge challenges and prevailed over and over again. I am enough of a radical optimist to believe we will continue to do so. One example: in the 1970’s and 80’s, bookshelves brimmed with bestsellers predicting that the world would run out of food by 1990. Given the limitations of our knowledge and imagination at the time, it was a reasonable proposition. Well, that’s not how it played out. The Green Revolution allowed us to double food production, thereby eradicating famine in many parts of the world. There are still stubborn pockets where failed states can’t feed their people, but agriscientists and innovators have brought about huge advances. There is no short-cut to prosperity. We are in reset mode. Every business owner and leader needs to steer their organization in ways that add value to the world, not just to shareholders. Every field of enterprise needs to harvest courage and unleash the unreasonable power of creativity. We need bigger ideas, delivered. Here’s to the crazy ones, and more jobs. Progress towards meaningful goals using ‘signature strengths’ contributes significantly to happiness. Happy people take time to do things that give them pleasure. Quality time with friends and family is top of the happiness list. Doing altruistic things for others creates enduring happiness. Expressing gratitude enhances your own wellbeing and that of the recipient. People quickly adapt to material advances. Beyond satisfaction of needs, more money does not make people significantly happier. Positive experiences tend to provide more enduring happiness than tangible purchases (social benefits). We get little enduring pleasure from short cuts. I managed to get 36 hours in Grasmere last week in between business trips to Paris and London. I took my Aunt Enyd and Uncle Roy down to one of my favorite local restaurants, Andy and Chrissy Hill’s The Jumble Room. Every outing with Auntie Enyd is special but this night in particular we were celebrating her full recovery from a complicated ear operation so we had lots to talk about. Little did I know the celebration was just beginning. The mood was through the roof at The Jumble Room since the morning brought news to Andy that the Sunday Times had recognized The Jumble Room as the Top Hidden Gem in Europe. He was short-listed a while ago in the Top 20 but this award was a fitting tribute for 14 years of hard work. Andy and Chrissie haven’t been chasing Michelin stars, they’ve been chasing great experiences . . . and they deliver this is spades. Almost concurrent with that tremendous achievement, my neighborhood received its fourth Michelin Star restaurant. Simon Rogan’s L’enclume in Cartmel continues to lead the way with a second star surely en route along with the Holbeck Ghyll and the Sharrow Bay. The new news was The Samling, just down the road from me, which is now owned by the Sharrow Bay team and where Nigel Mendham is serving up local produce of the highest quality. Tiny Cumbria is now in the top 5 counties in England for Michelin stars and leads its much bigger Lancashire and Yorkshire neighbors. Holbeck Ghyll has just been bought be Stephen Leahy, a very successful businessman who is now living the dream of owning a great restaurant. He’s got lots of plans to introduce heli tours of the Lakes, guided walks, up-market Lake cruises and super car hires from the Holbeck Ghyll without losing its country house magic. Head chef Dave McLaughlin used to chef at Michael’s Nook, which is where I live now, and has ensured that Holbeck Ghyll received its Michelin award for the 10th consecutive year. Over at Sharrow Bay I think it’s now 14 consecutive years where they’ve held the star and this place truly is magical. Its views of Ullswater are beyond belief. At the very heart of much of this Cumbrian success lies Kendal College where the Lakes Hotel School offers some of the most inspirational facilities in Europe. Local produce is a great competitive advantage for the area coupled with great innovation lead by Simon Rogan of the L’enclume. As well as these 1 star paragons of excellence, there are tremendous gastro pubs all around the place. I had the best Lancashire Hot Pot I’ve ever had in my life last Thursday at The Strickland Arms which is owned by Martin Ainscough, who also has The Derby Arms and one of my old time favorites, The Miller Howe. The Highwayman at Burrow, The Punch Bowl at Crosthwaite, and The Drunken Duck near Ambleside all serve great local food with terrific local beers and great wine choices. Two other favorites of mine are Hipping Hall, which is run by old Lancaster Royal School boy, Andrew Wildsmith, and new Kiwi chef, Brent Hulena. This 15th century country house is really memorable. Thirty years ago or so I used to drink in The Wild Boar at Crook after the cricket in what was then Westmorland and this is now completely redeveloped and refurbed for opening at month end. It will be the first Lake District Hotel with its own smokehouse. Put all this together with our inventions of Sticky Toffee Pudding, Kendal Mint Cake, Grasmere Ginger Bread, and top local produce such as Church Mouse cheeses in Kirby Lonsdale, the Hawkeshead Relish Company and local breweries at Hawkeshead and Conniston, and you’ll know why I try to get up to Grasmere as often as I do. And the welcome you get in these Lakeside gems is a lot more friendly, family and personal than in the big cities. Come up and see us sometime. Having previously looked with Dr. Mike Pratt at the first step of choice in happiness, the second step has to do with activities. There are two types. First, activities that provide gratification. This comes through progress towards meaningful personal, work-related and also altruistic goals. The second kind of activities are ones that simply bring pleasure. This is about creating time for and being engaged in things that you really enjoy doing, and a variety of them too. Steer clear of the toxic polar points of these two types of activities, workaholism and hedonism. A single-minded pursuit of work can bust up social relationships, A single-minded pursuit of pleasure can be addictive. The third happy step, along with choice and activities, is about authenticity and personal purpose. This is where signature strengths (a concept developed by Martin Seligman) are developed and applied to gratifications. When we use unique signature strengths and virtues towards a higher purpose beyond our own needs or desires, the ‘meaningful life’ comes into play. Knowing your signature strengths can enhance performance, make life more fulfilling, help you tackle difficult situations more easily and provide a basis for developing your personal purpose. In building steps to happiness to achieve Peak Performance, Dr. Mike Pratt starts with choice: choice as self-discipline and as self-determination. The self-discipline part is about rejecting immediate pleasure, relaxation and satisfaction for a higher goal. This lets you implement your decisions, be resilient in the face of failure and setbacks, and act with perseverance to reach your goals. It’s like weight training your mind. There are aches, pains, sweat and one hell of a pay off. The self-determination part matters in all domains: work, family and social. It’s about autonomy, engaging meaningfully with others and performing “just right” challenges, the ones that stretch us without making us do the splits. Control people, and they do only what is required. Inflate people’s incentives, and they are prone to forego autonomy and to distort and destroy what matters most. Here’s a 10-point quiz to assess how self-determined you are. Mark yourself from –10 to +10, add your score, and take it from there. Next up on the quest for happiness, we go from choice to action. My days are typically filled with fresh new ideas, sights and experiences. I can try out different activities to learn and grow. My life often gives me the opportunity to be curious, inquisitive and amazed. My days are filled with meaningful activities that I love doing. Most days I feel very productive. I am able to take time to be proactive and choiceful about my goals. My life provides me with the opportunity to take time with and care for other people. I really like the people I engage in activities with. I regularly review my activities and eliminate those that don’t make me happy. I am aware of my skills and abilities and my activities regularly give me the opportunity to enhance them. BC 341-270: Greek Epicurus hits the pleasure button (Epicureanism), and gets tagged as a supporter of hedonism. To his credit, he said you have to draw the line somewhere. On sweeping levels, Buddhism and Islam develop powerful paths to happiness. 1711-1776: the Scot David Hume high five’s Aristotle’s view. 1776: The American Declaration of Independence includes the pursuit of happiness as an unalienable right. 1806 – 1873: John Stuart Mill works up utilitarianism with Jeremy, and focuses on actions that generate pleasure. He says OK to different types of pleasure, and pumps ‘higher pleasure’. 1818 – 1883: Karl Marx sees happiness as the ultimate destination, achieved through crashing the lead vehicle. 1844 – 1900: Friedrich Nietzsche says happiness is something for British Shopkeepers. Ronnie Barker’s sitcom alter-ego, the grocer Arkwright, to double negative, wouldn’t disagree. 1879 – 1955: Albert Einstein compares moral aims like well-being and happiness to the ambitions of a pig. 2000 – 2010: Happiness gets pondered, indexed, studied, measured, blogged and tweeted about. Stand by for more. Urban sprawl has nothing on the Internet, in terms of breadth, depth, hidden gems – and frequently, confusion. With new facts and figures coming out every other day on its vast scope, it can be hard get a sense of the big picture. The BBC recently showcased a set of graphics to illustrate the Internet visually. It’s like a bird’s eye view of the 100 biggest websites, sized proportionate to the number of their unique visitors, and organized according to function. After taking a look, I was interested to see how these all fit together objectively. As Steve Rubel recently put it, “no two people see the same Internet” – we’re all exploring different avenues of information, engaging in different conversations – and it can be easy to underestimate the activity going on outside our favourite websites. While for me search may equal “Google”, actually about two-thirds of search traffic goes elsewhere, to sites like Microsoft, Yahoo!, and AOL. And while social networking sites get the most media buzz, in terms of web traffic they’re riding behind categories like retail, software and news media. While the simplicity of the BBC model can’t be beat, iA’s Web Trend Map is a stylish alternative if you can handle some more detail. This plots the web’s hotspots on to the Tokyo Metro map, taking into account traffic, revenue, age, owner and character. I like the quirky approach the designers took to match up the sites with their corresponding train spots too, “Twitter is located in Shibuya, the train station with the biggest buzz” and Google (of course) is placed at the same spot as the most highly trafficked metro station in the world, Shinjuku. Of course, the online space is constantly changing and there’s never going to be a finished map. But these imaginings are much more intuitive than a standard table of numbers, and a great way to give some weight and context to the mass of information out there – before you head out to create and explore new unchartered territory of your own.